Say it ain't so! 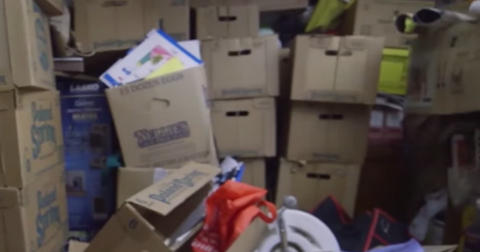 After a short six episodes, Hoarders is already ending its 10th Season tonight. And from the looks of it, it seems they've really managed to save the best for last. Tonight's episode is going to take a look into the lives and houses of friends Donald, Peter and Raymond, who definitely have a problem when it comes to accumulating stuff. When we first meet Donald, Peter, and Raymond in the season finale episode entitled "Three Amigos," we learn that the Tewksbury, MA residents are in over their heads with hoarding. Raymond is an industrial optical technician, while his big brother Peter is a retired construction worker. But even though they *cough* ALL have a problem when it comes to accumulating stuff in their homes, the brothers are quick to throw their friend Donald under the bus as the one with the hoarding addiction. "If I looked up 'hoarder' in the dictionary, Webster's latest edition, you'd see Donald's name," Peter says. "I'd say Donald has 2,000 pounds to a ton [of stuff]." As far as Donald, who's been a real estate broker for the past 40 years, is concerned, "I don't consider myself a hoarder. I consider myself a book collector," he admits. "I have two friends, Peter and Raymond," Donald says by way of introduction. "And we collect things." According to this episode's description, "Donald and his brothers Peter and Raymond are close friends who do everything together, including hoarding." When we first hear from Dr. Greene in the trailer ahead of tonight's finale, she makes it clear their situation is "unraveling." "Please, sweet Jesus," pleads Peter. "I need this to stop." And Peter's daughter agrees their hoarding addiction needs to be put to an end. "My dad, my uncle Raymond and Donald are like three peas in a pod," she says. "Between the three of them, they could probably fill the Tewksbury airport." Tewksbury fans are elated to see their town on the popular A&E series. When Tewksbury, MA residents caught wind of tonight's Hoarders show description, they took to Facebook and Twitter to express their excitement. "It’s Tewksbury! We need to watch this!" wrote one fan. "This is in Tewksbury right down the street from us," added another, who went on to say that she frequently spots the friends "at 7-Eleven all the time." 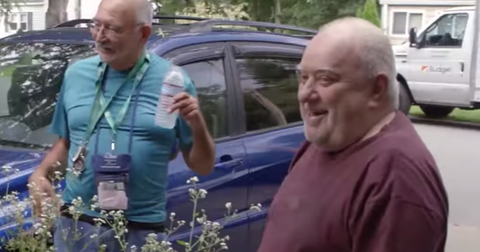 This marks the sixth time Hoarders has filmed in Massachusetts, though it probably won't be the last. According to fire fighters who've been responding to fires in Massachusetts' North Shore, hoarding is quickly becoming an "epidemic" among the aging population in Massachusetts. "Fifteen years ago, we saw it occasionally," one fire fighter mentioned. "Now we see it all the time." Here's how to nominate someone or apply for Hoarders yourself. If you watch Hoarders to dissociate from your own mess or know someone whose clutter is in need of professional help, apply to appear on next season of Hoarders here. The show is looking for compulsive hoarders who are willing to change their lives and reframe their approach to hoarding. Plus, in addition to getting your life and house in order, landing a spot on Hoarders comes with other perks. "We will provide free services, such as a mental health support, professional organizers, and professional clean up and/or junk removal services," the casting call reads. "Each case will be considered on an individual basis, and services will be tailored to fit individual needs." 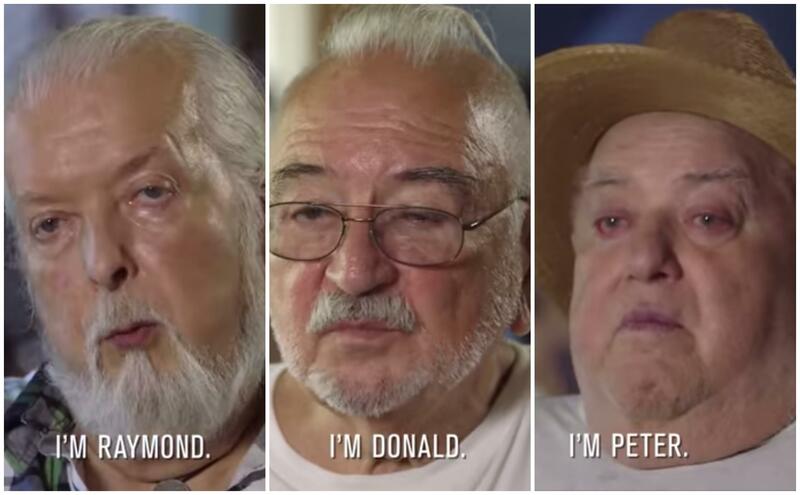 Don't miss Donald, Peter, and Raymond's emotional Season 10 finale when it airs tonight on A&E at 8 p.m.